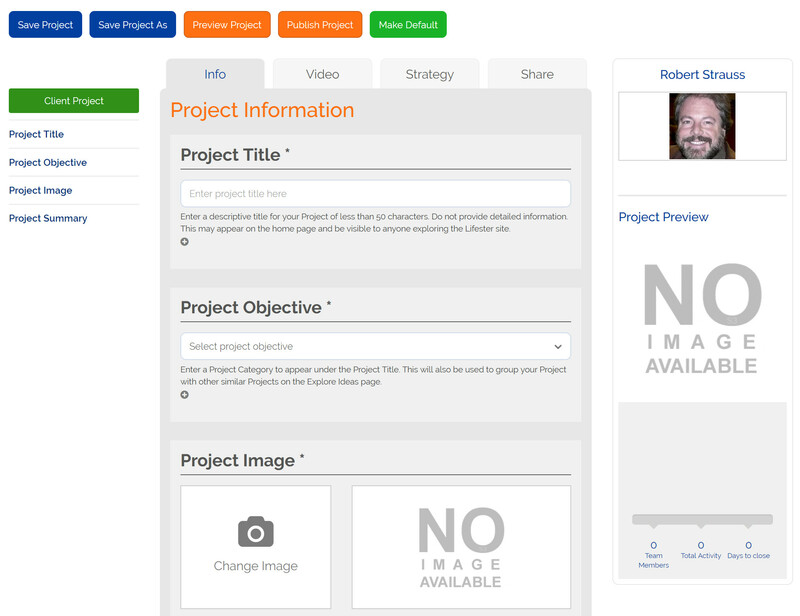 Click on the Start Project button and begin completing the Project Build Form. Log into your Lifester page and click the "Projects" button. You will be taken directly to a blank Discussion Project in Edit Mode. You can customize and save your default start page if your projects tend to be specialized.